Back in the early 1970’s, in St Anthony’s primary school, there was great excitement when the school team reached the final of the Govan Fair cup. St Saviours were the opposition at the old Moore Park, home of St Anthony’s juniors, and I can still recall the crestfallen older boys next day after their 5-0 defeat. All the boys could talk about was the performance of the St Saviours centre forward who scored all five goals. His name was Tommy Coyne. 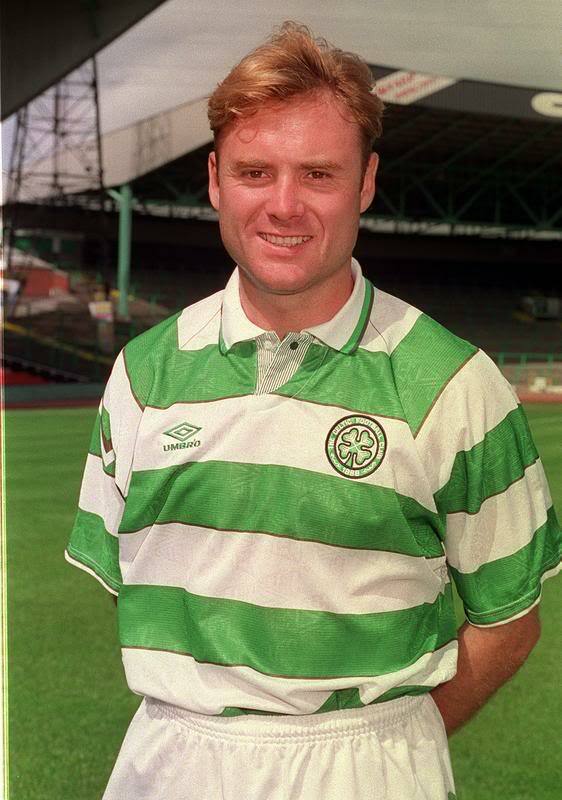 Years later Tommy Coyne was to sign for his boyhood idols Celtic. 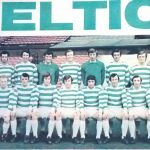 His father was a member of the Govan Brighton (Street) supporters club which left from the old Albion Way pub in Govan’s ‘Wine Alley’ so Tommy came from a fine Celtic background and he would always be a source of pride to all the Celtic fans on the ‘Brighton’. Not many supporters’ clubs can claim to have had a future Celtic player as one of their own. Tommy had a patchy start to his Celtic career. He came from Dundee in March 1989 in the same week that Frank McAvennie left for a huge sum to join West Ham and it was felt, unfairly, that Coyne was a direct replacement for McAvennie which manager Billy McNeill always insisted was never the case. 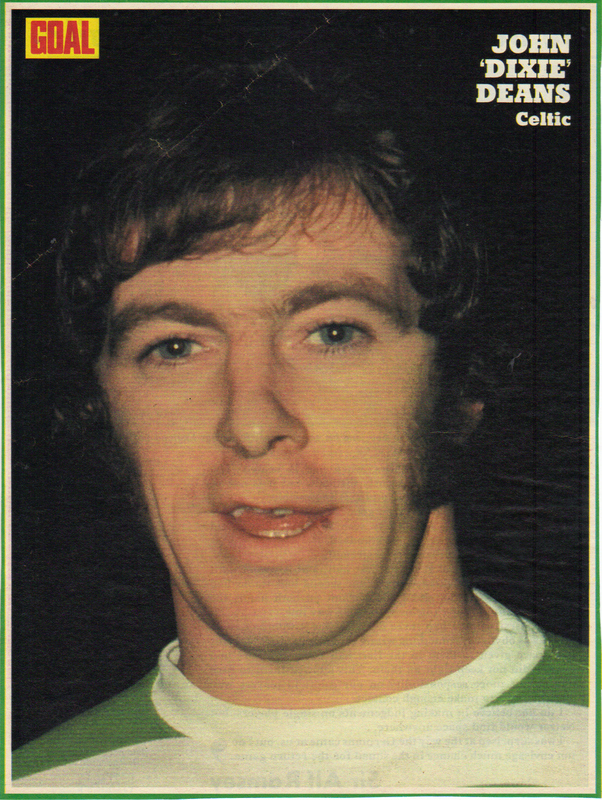 His debut was at Tynecastle in a 1-0 win when McNeill fielded him on the wide left of a four man midfield. McNeill stated that this was a position he would be looking for Tommy to fill on occasions which was a puzzling statement considering that he was never played in that role ever again. At the beginning of the 1989/90 season Darius Dzienanowski was signed to partner Tommy in attack but in truth the two of them never gelled to make a decent partnership. They were both good players but Tommy found it difficult playing with the talented but enigmatic Dziekanowski. The opening game at Tynecastle was perhaps Tommy’s best game in a Celtic jersey. He scored a splendid hat trick and the highlight of the game was a brilliant Paul McStay swivel, after a great run, to allow Tommy to slam in the third goal for his hat trick in a 3-1 win. Unfortunately things went quickly down hill from there in that dreadful season. On November 4th 1989 Celtic took on Rangers at Ibrox. Half way through the second half, during a tight game, Joe Miller raced clear on the Rangers’ goal. Chris Woods saved his shot and the ball broke to Tommy who had a clear shot at goal from an angle and he smacked his shot off the post to the despair of the Celtic fans behind that goal. Late in the game an ex Celtic striker scored the winning goal for Rangers and such are the fates that befall us. Had Tommy scored with his chance then it could all have turned out so different. Tommy gained a modicum of revenge in February 1990 when he scored the winning goal for Celtic against Rangers in the Scottish Cup on a day of filthy weather at Parkhead. Joe Miller fired a ball across goal and Tommy actually slid in to score with his stomach. As Tommy turned to take the acclaim for his goal his ex Dundee team mate John Brown angrily threw Tommy to the ground but thankfully Coyne ignored Brown’s provocation and carried on celebrating. This was also the day that Terry Butcher kicked in the dressing room door at Celtic Park after the final whistle. The low point of Tommy’s Celtic career came in the autumn of 1990. 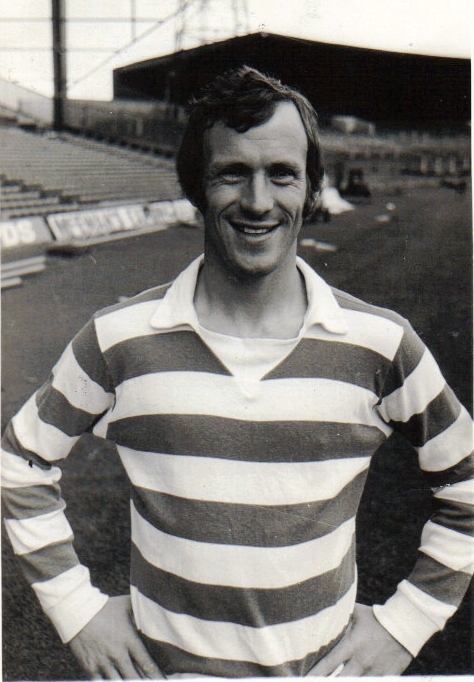 He had fallen out of favour completely with Billy McNeill after the return of Charlie Nicholas to the club and on the day in September that Celtic gained a decent draw at Ibrox, Tommy was a substitute in the reserves at Parkhead behind such luminaries as John Hewitt and Dugald McCarrison. After this he was put on the transfer list as Celtic looked to move him on. At this stage in his career he showed a lot of character as he had been getting a tough time from an element of the Celtic support. It’s to his eternal credit that he stuck at it at Parkhead. The turning point came in a midweek match against Motherwell in 1990. McNeill, frustrated with his goal shy strikers, decided to give Coyne a last chance. Celtic won 2-1 with Tommy scoring with two great finishes and he was not to look back. By the end of that season Tommy finished as top scorer with 17 goals which was a fantastic return considering that he had missed the first three months of the season. There were a few highlights in that season. In January 1991 with Celtic struggling badly, the team produced a surprise by beating Aberdeen at Parkhead. The winning goal came in the last minute when Paul Elliott headed against the post and Tommy turned in the rebound. The explosion of joy from the Celtic crowd was fantastic and it showed that the fans were desperate for a bit of success during a barren period. In March 1991 Tommy played his part in the two memorable wins against Rangers at Parkhead within seven days. 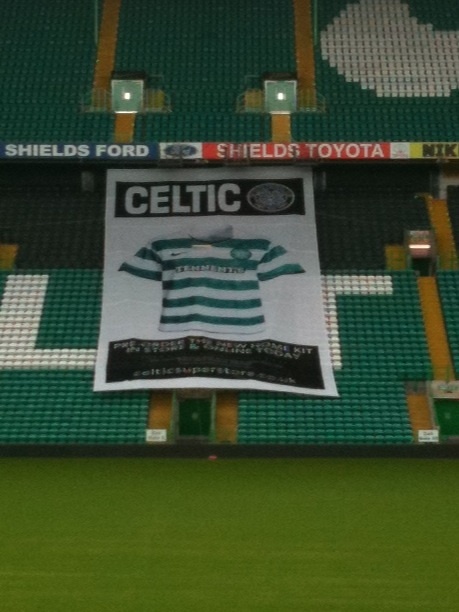 In the second game Celtic ran out convincing 3-0 winners with Tommy scoring the third goal from a Paul McStay cross. Liam Brady arrived as manager in 1991 and although Tommy was normally in his side it was felt that Brady was looking to replace him. Cascarino, Payton, Slater and McAvennie were all signed by Brady in an attempt to improve the Celtic attack although none of them were particularly successful. 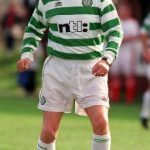 Tommy missed most of the 1992/93 season with injury although he returned in January to score the winning goal against Airdrie at Broomfield on the day that Frank McAvennie made his second return in the hoops. Incidentally this game was played in the worst conditions I have ever seen at a game of football. Heavy rain had flooded the pitch and made it unplayable and it was a total farce from beginning to end. In March 1993 Tommy eventually moved on to join Tranmere Rovers. It was not a happy spell and during his time in England his wife sadly passed away in very tragic circumstances. He came home to join Motherwell in November 1993. Tommy became a cult hero with the Motherwell fans and he scored the winner against Celtic in the Scottish Cup at Fir Park in January 1994. This played a huge part in allowing Fergus McCann the opportunity to buy the club as this result virtually ended Celtic’s season. However some Celtic fans were not impressed with his reaction to that late cup winner and it was felt that his celebrations were a bit over the top. Tommy redeemed himself in the eyes of the Celtic support in March 1998. With Rangers going for 10 in a row and Celtic frantically trying to stop them, Motherwell beat Rangers 2-1 at Fir Park. Coyne and Owen Coyle, both huge Celtic men, scored ‘Well’s goals that day and a Rangers supporting acquaintance of mine told me later that both men had ran themselves into the ground that day and that he had seen nothing like it. Thus Coyne and Coyle, indirectly, played a small part in Celtic’s title win of 1998. Tommy was never considered worthy of a Scotland cap and as he had Irish grandparents Jack Charlton took advantage of the new ruling and Tommy made his debut for the Republic of Ireland against Switzerland in 1992 whilst still a Celtic player, much to the delight of the many people with similar Irish heritage back in Govan. This led to a fantastic journey as an Irish player which took him all the way to the 1994 World Cup finals in the USA. 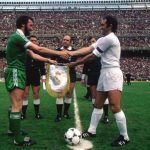 The Irish put up a great show by reaching the last 16 and Tommy played in the unforgettable 1-0 victory over Italy in the sweltering heat of New York City. In closing here is a whimsical tale from May 1991. Celtic faced Saint Johnstone in Perth in a vital game in which they had to win to qualify for Europe. It was a frenzied affair and in the second half there was a stramash in the Saints’ penalty area which resulted in a defender knocking Tommy Coyne to the ground with a punch. A young Celtic fan ran on the field to defend Tommy’s honour and confront the Saints’ defender much to the delight of the huge Celtic support behind the goal. 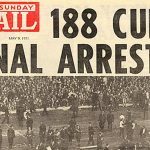 As the Police waited to arrest the miscreant fan, Gerry Creaney physically barged past them and jostled the supporter back into the safety of the Celtic fans and preventing the fan being arrested. The entire ground was in uproar at this time and Tommy scored a penalty and thus Celtic made it to Europe after all. Tommy Coyne came a long way from the St Saviours playground in Govan to the World Cup stadia in the USA. He was a superb goal scorer who if he had a turn of pace could have played in any company and it was a pleasure to have watched him in a Celtic jersey. PreviousCelts in Europe – A Golden Future?